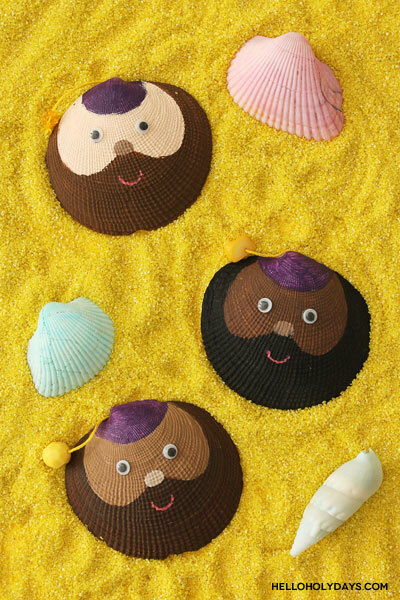 Ramadan Drummer Seashells – Hello Holy Days! One of the interesting things about Islamic holidays is that they follow a fully lunar calendar. This means that, through the course of some 40 years, we can experience Muslim holidays in all 4 different seasons. 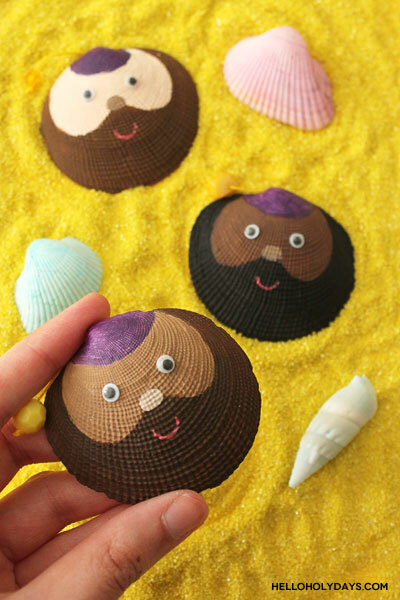 With Ramadan transitioning out of summer and into spring, embrace the season while you can and make some Ramadan Drummer seashells! 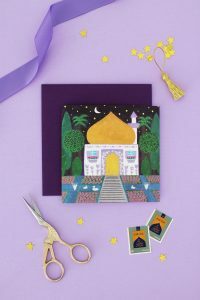 It makes a lovely kid’s craft and keepsake of when Ramadan took place in the summers! 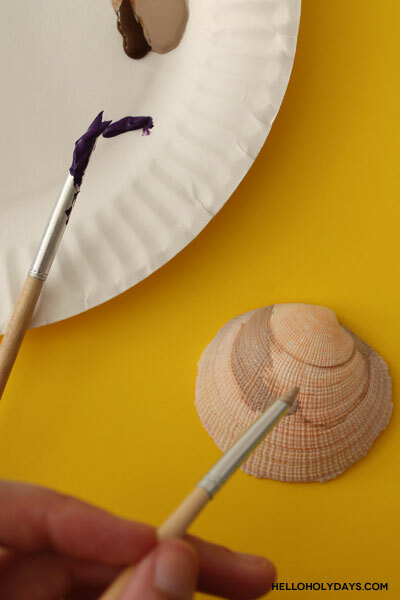 Collect seashells with the kids next you’re at the beach – or pick up a bag from your local arts and crafts supplies store to make this seasonal craft! Red gel pen that can work on enamel. Sakura Decorese from Jet Pens is used here. 2. Paint the Ramadan Drummer’s purple hat. 3. 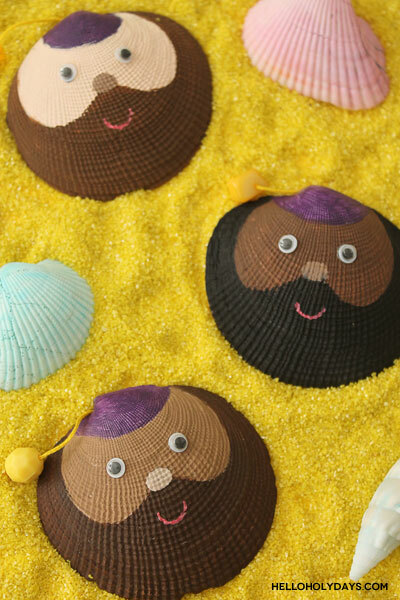 Next, paint the Ramadan Drummer’s brown beard. 4. Add a small round nose with paint. Glue eyes and add a smile. 7. 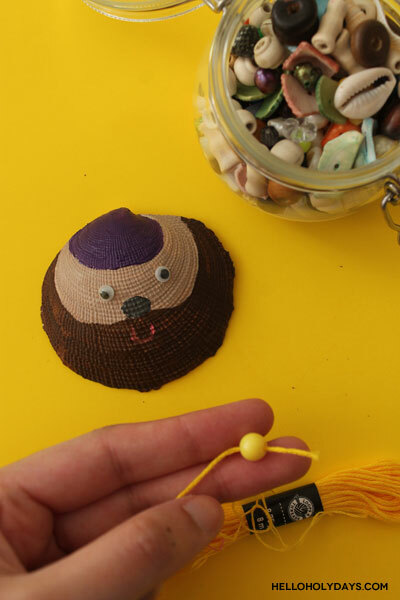 String a bead onto a small piece of embroidery thread; tie a knot on one end to keep the bead in place. 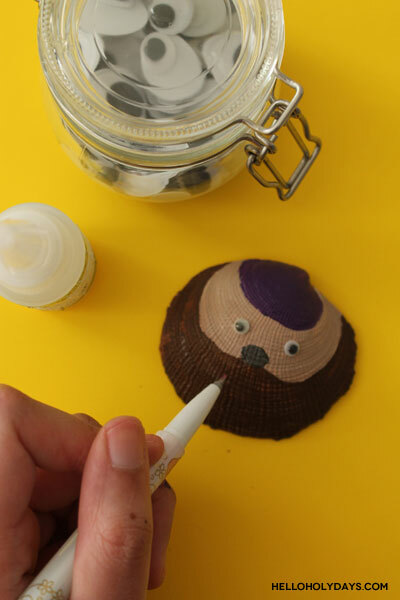 Glue the other end of the embroidery thread to the back of the seashell. This will be the tassel on the Ramadan Drummer’s hat. You’re all done! *Please note the fictional Ramadan Drummer used as a North American holiday character is the intellectual property and trademark of Manal Aman, Hello Holy Days! and may require license for commercial use. Did you make this DIY of ours? We’d love to see it! Share with us on Instagram or Facebook @helloholydays. 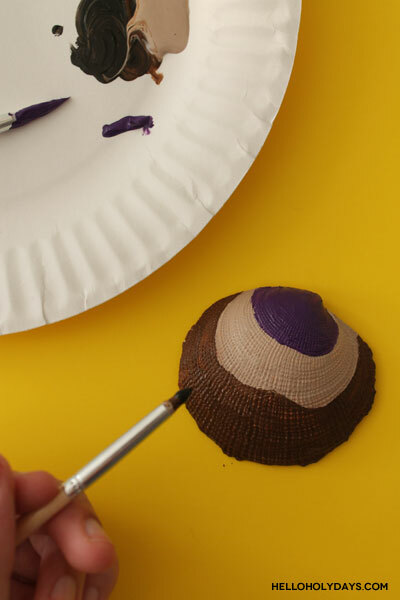 If you make this DIY and share photos of your version on your own blog, please be sure to include a link back to this page as your source of inspiration and tag @helloholydays on all social media.